The French Minister of Defence Hervé Morin has confirmed the opening of a new base in the United Arab Emirates. ‘BA 104’ is the first new French base of this type since the Second World War. There will be three different establishments to house separate elements from France’s army, navy and air force. Together they will make up a total of 500 troops and be fully operational by May this year. The first Mirage French air force fighters arrived in the country in September last year. Washington is certainly content with this, as most of their allies cannot wait to leave the area. So what are the French up to? Why are they moving in just when everyone else is moving out? 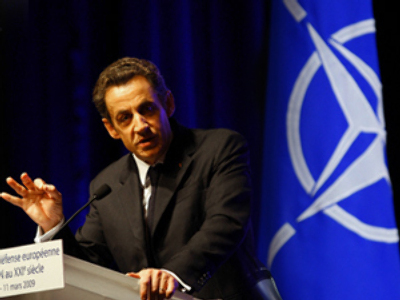 At first glance President Sarkozy is conducting a puzzling and contradictory foreign policy. 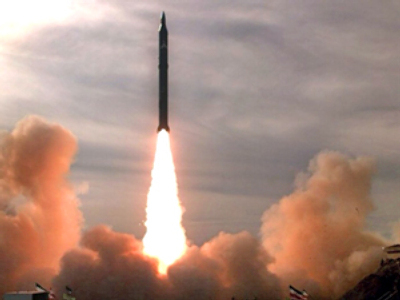 On the one hand he is in lock step with the United States in its hitherto raucous and some would say excessive hostility to Iran’s nuclear programme. 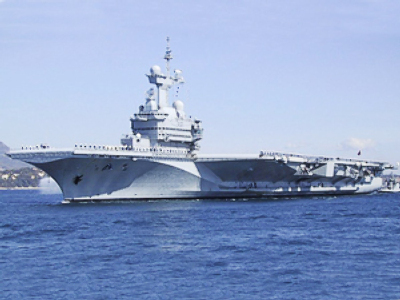 The opening of the small but unprecedented French naval base in the Emirates is part of this. It was originally announced on his January 2008 trip to the Gulf States that took place in parallel with President Bush’s trip to the same area at the same time. However it is a move that runs directly against the greater part of Arab and Muslim public opinion that passionately wants to see less Western troops and bases in the region. It is one of the constant themes of Osama Bin Laden’s notorious videos that the infidel should leave the Arab lands. Since his election as President, his strongly pro-US line has earned Sarkozy two mentions by the Al-Qaeda leader. In twelve years his predecessor Jacques Chirac never even scored one. The new base is right on the energy route just across the Persian Gulf from the Iranian coast, in waters that not so long ago saw allegations of harassment of US warships by Iranian launches. The world authority on suicide bombing, Professor Robert Pape, author of ‘Dying to Win’, the definitive study on the subject, said that deliberately getting more closely involved with the US over Iran and Afghanistan, the French government was running the risk of retaliatory terrorism. It is not clear, for example, whether the recent bomb attack in Egypt on French tourists in which one girl died and 17 were injured were intentionally targeted or not. The French Foreign Ministry says it was not specifically aimed at the French. However the often reliable French satirical weekly, the Canard Enchainé, quotes anonymous military intelligence (DGSE) sources as saying that the attack deliberately singled out French citizens. The French policy of close alliance with the United States is clearly not without risk, as Britain and Spain have tragically discovered in recent years. It has been Al-Qaeda policy to target democracies where the majority of the people do not fully support the government’s military involvement in Muslim countries. Opinion polls show that two thirds of French people consistently doubt the wisdom of the French involvement in Afghanistan. On the other hand back in Europe, sometimes in direct opposition to the Bush administration, Sarkozy has been broadly friendly to Russia. He broke ranks from fellow EU members and congratulated Vladimir Putin on the re-election of his United Russia party at the last general election, whilst the rest of the West would only mutter about improper electoral practices. Sarkozy has said that he does not think that Ukraine or Georgia on either side of the Black Sea should be allowed to join NATO. This comes as music to Russia’s ears and directly opposes Washington’s declared wishes. In addition, officers from the mountain brigades of the Russian army have been invited to France to study the training methods of their French equivalents, the Chasseurs Alpins at Barcelonette in Provence. The officers come from the recently created mountain units now based in the north Caucasus not far from the frontier with Georgia. During the war between Georgia and Russia, Sarkozy right from the start stated openly that Russia was entitled to defend her soldiers and was the victim of an attack. Under his presidency the European Union generally followed a restrained policy towards Russia, in spite of the war, problems over gas in Ukraine and the urgings of some eastern European members. This was not necessarily to the taste of everyone in the then US administration. It is true that Sarkozy did not hesitate to criticise Russia over the question of human rights during the French presidential election campaign in 2007 and that this caused a certain chill in relations between the two countries when he became President. However, almost entirely unnoticed, only nine days after his election, one of his close associates, member of the National Assembly and foreign policy expert Pierre Lellouche, gave an interview to Nezavisimaya Gazeta. In it he presented a much more nuanced approach. He said “For Nicolas Sarkozy, foreign policy can only follow the principles of ‘realpolitik’, but the values to which France is attached since the Revolution must not be forgotten, in other words the values of liberty”. He went on to say “France seeks to develop the closest possible relations with the United States in the same way as with Russia who are both friends.” Sarkozy has broadly stuck to that approach. So, under Sarkozy, France knowingly takes serious risks in the Muslim world in backing America to the hilt, but does not hesitate to oppose the US in Europe. The explanation for this apparently paradoxical policy lies in the French President’s over riding priority, which is to revive the lethargic French economy with its perennially high unemployment and deficit ridden public finances. To do this he needs better economic growth. Leaving aside the uninvited effects of the credit crisis, he aims to do this by reforming and freeing up the French economy, and in particular restoring the work ethic. Abroad it means playing to France’s undoubted strengths in aerospace, public transport with the high speed TGV trains, nuclear power, energy exploration and the sale of military equipment. This requires good relations with Russia as well as the United States, because France already has good commercial relations in these fields, notably aerospace, and cannot afford to lose them. The US-France quarrel of the Iraq war, France found that her key exporters were blocked in many countries of the world. As Lellouche put it in his interview, France needs to be “friends” with both countries. In aid of this tricky balancing act, Sarkozy is ready to dump 40 years of Gaullist foreign policy doctrine and fully reintegrate with NATO. Critics, not a few of them from within his own party, say that he is abandoning France’s uniquely independent position on the world stage at just the wrong moment. His answer to that is simple. It is better to work from within as a friend of the United States than from outside as a carping critic. The Americans may well have huge financial problems but they also have huge military resources. For example 11 aircraft carrier groups to France and Britain’s one each. In addition he is counting on their new acceptance of the need for allies and real consultation. The blocking by France and Germany of George Bush’s final attempt to force Ukraine and Georgia into NATO was something new. It is not just that the United States should not go it alone. It is that they no longer can, except in a case of real danger to their homeland and no such danger exists. In a telling phrase in his last book the ‘Audacity of Hope’, Barack Obama talks of the need to act with allies in any future intervention. He said that he did not mean that “we round up Togo and Great Britain and then do what we please”. 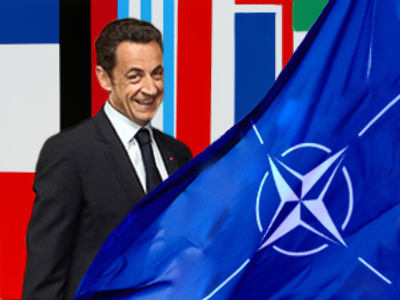 Sarkozy’s calculation has been that in an increasingly multi-polar world in the new NATO, France will have a real say in policy anyway. So to get back to that curious new base in the United Arab Emirates, we find that in June 2008 the French at last succeeded in selling 69 of their Dassault Rafale jet fighters to Abu Dhabi, the largest of the seven Emirates. Under Chirac, despite constant efforts, they could not sell one to anybody, each time losing out to competition from the USA or close ally Great Britain. The new French base adds to the protection of the Gulf States from a potentially threatening Iran, or even Iraq, 225 kilometres away across the sea. This puts France in an ideal position to sell military and other high tech equipment in the Gulf States. Sales of fighters and frigates are planned to Kuwait as well. Above all it is another move in achieving US goodwill without which potential purchasers will always find convincing reasons not to deal with the “unhelpful French”. Against that Sarkozy is gambling that Bin Laden and his sympathisers will not, or will not be able to, retaliate against France as they have done in the United States, Britain and Spain in the recent past. In this complex but so far successful foreign policy there is just one lose end. Try as he may, it must be difficult for Sarkozy to find in the Emirates very obvious signs of “the values to which France is attached since the Revolution… the values of liberty” of which his emissary talked to Nezavisimaya Gazeta when he was first elected President of France. The rulers of the seven emirates have many good qualities – but human rights, democracy and all that stuff are not really their thing. As he admitted on his last visit to the Gulf, the new base “is not just a question of business. 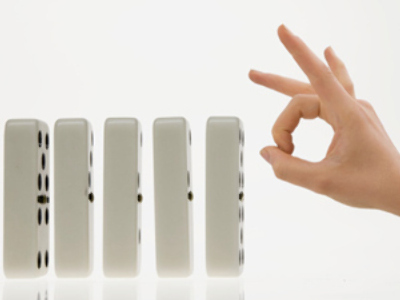 It is about politics, diplomacy and stability.” But not, it seems, about liberty.